Train tracks along the proposed MBTA Green Line expansion area. The head of the board that oversees the Massachusetts Bay Transportation Authority says that cutbacks to the Green Line extension will have to be “on the side of brutal,” as officials seek to cut costs for the troubled project. “This has to be a bare minimum system in order to get to a point financially where we’re making a minimum ask to third parties,” Joseph Aiello, chairman of the fiscal control board, said Wednesday during a monthly meeting of the state transportation board. 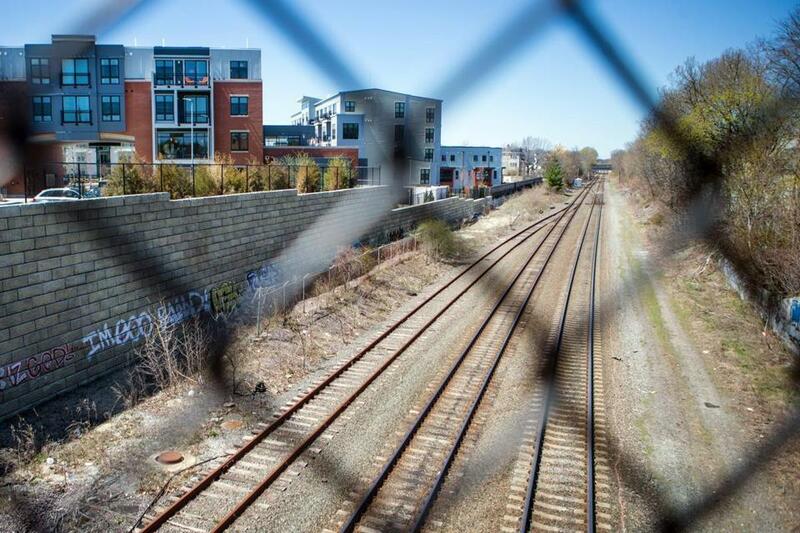 After officials revealed that expected costs for the Green Line extension into Somerville and Medford had skyrocketed from about $2 billion to nearly $3 billion, the transportation board ordered consultants to redesign the project to cut costs. In May, the board is expected to discuss whether to continue with the project. The question of whether to push forward comes as the transportation board continues to grapple with the transit agency’s financial woes. On Wednesday, a consultant told the transportation board the MBTA has about $80 million in unfunded liability on its books for a retirement program that was supposed to entice workers into management. 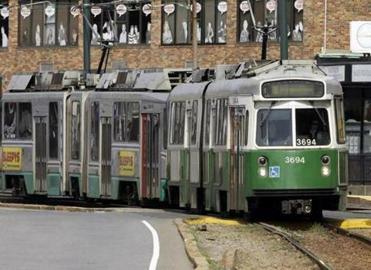 Vowing to be fiscally responsible and help get the T budget in order, the transportation board said it will not go forward with the Green Line project unless it is cheaper and the MBTA seeks more funding sources. The state would need to spend about $742.3 million and forgo nearly $1 billion in federal money if the project is axed. The stations could see significant changes: A consultant looking at ways to cut costs said the MBTA had planned to build substantially more expensive stations than at other stops. Jack Wright, the new interim project manager for the Green Line, has been retained to help manage while consultants redesign the project. He agreed with Aiello about the potential cutbacks. “If it is a $3 billion project right now ... then something very dramatic is going to have to be done to get it back,” he said. The Green Line project, as it is currently envisioned, would relocate the existing Lechmere station in Cambridge and construct six other stations. Renderings obtained by the Globe on Wednesday show that the designs from 2015 called for enclosed buildings. Consultants from Arup Group have suggested there are ways to redesign such stations and other fixtures to save up to 40 percent on construction costs, and that could include taking away a light-rail stop in Union Square, one of the most booming neighborhoods in Somerville. The expensive stations are only one factor that led to the increases in costs for the long-awaited project. The MBTA ignored multiple warning signs about escalating costs — partly on the advice of a firm that had been hired to provide cost estimates — and had not been properly equipped to use a new contracting process, according to a consultant’s report. On Wednesday, John Englander, general counsel of the state transportation department and MBTA, said that White-Skanska-Kiewit would likely be disqualified from bidding on future versions of the Green Line project. MBTA’s main retirement fund, which has more than $810 million in unfunded liability. That fund is managed by the MBTA Pension Fund, which is separate from the T.
On Wednesday, Shawn Warren, a partner at KPMG, told the transportation board that another retirement perk — called a “deferred compensation program” — is costing the MBTA about $6 million a year. Through a program that was meant to entice employees to become upper-level managers, the MBTA offered this additional retirement payout — outside of the regular pension — managed by the MBTA itself, rather than the pension fund. In all, the MBTA now has $80 million in unfunded liability for the program — about $23 million more than they expected about four months ago.